We began a six-part discussion on irrigation terms and definitions and basic concepts in last month’s edition of Engineering Your Business. 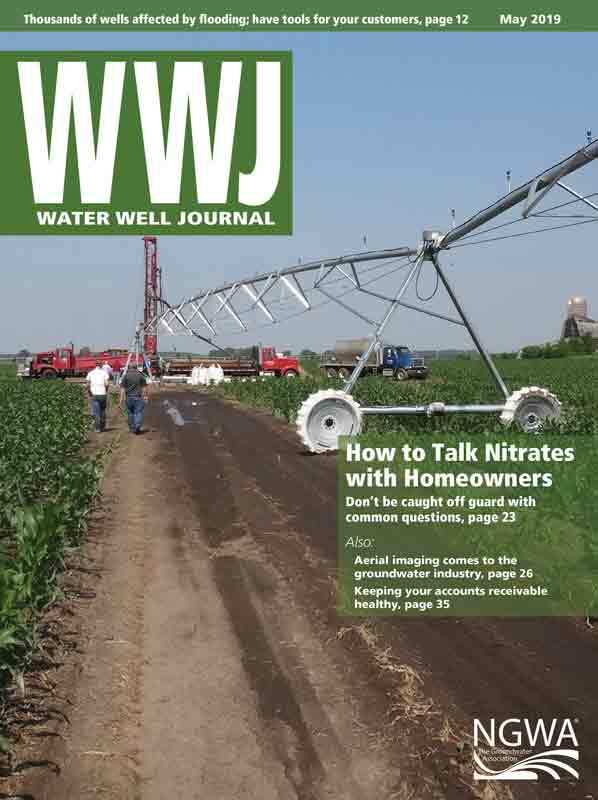 This month, we will continue with an expanded overview on soil-water-plant relationships, water quality considerations, and the consumptive use of crops. Once the decision of whether irrigation is needed has been decided, the actual process of design can begin. As with any goal worth achieving, planning an irrigation system requires a few important considerations. Providing irrigation to a plant or crop is fundamentally not difficult. The main objective is to provide a sufficient volume of an acceptable quality of water a plant requires for growth and sustainability to enter the immediate top layer of soil and then move through the soil’s structure. The water needs to do so without incurring excessive waste or loss due to runoff, evaporation, deep percolation or permeability losses, or wind drift so it can ultimately arrive at the plant’s root zone for its exclusive use. This basic relationship is often limited to the interaction solely between a soil and a plant or a soil and the water applied. 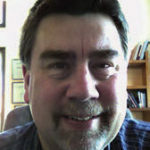 However, for total accuracy and to ensure all relevant relationships are explored, I was taught and prefer to examine the full dynamics between the soil, the water, the plant, and the interrelationships between each. It should be readily apparent that raising a successful crop must start with the soil. After all, without the soil, the plant’s seed will not properly germinate to even start down the road to becoming a fully developed crop. the soil’s water intake or infiltration rate (percolation or permeability), usually expressed in inches per hour. The water-holding capacity of a given soil is largely dependent on the soil’s porosity, which is the space between soil particles that consist of a mixture of various amounts of water and air, and depends on both soil texture and structure. For example, clay soil can generally accept a lower intake rate of less water per hour but has a greater water-holding capacity and stores more water volume, where sandy soil may accept more water per hour but stores less volume. Both are factors in knowing how much water can be applied, will run off, or be lost to evaporation or deep percolation. 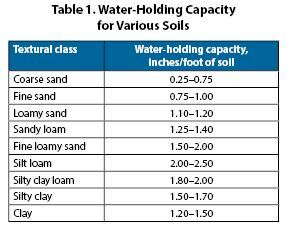 Refer to Table 1 for the water-holding capacity per foot of various soil types. There are various subtypes of water-holding capacity associated with irrigation. The field capacity is the amount of soil moisture or water content held in the soil horizon after excess water has drained away and the rate of downward (gravity) movement has decreased. This usually takes place two to three days after a rain or irrigation in pervious soils of uniform structure and texture. The available water capacity is the range of available water that can be stored within the soil profile and be available for growing crops. Saturation occurs within the soil when all pores are filled with water. The water content in the soil at saturation is equal to the percent of soil porosity. The wilting point is defined as the minimal point of soil moisture the plant requires to not wilt and is generally regarded as the minimum amount of moisture in the soil that must be retained before the crop dies. 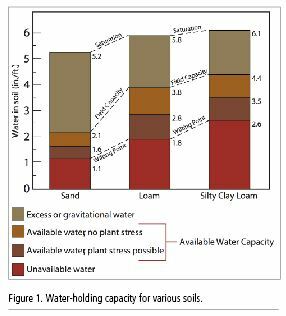 Water-holding capacity for various soils. Figure 1 illustrates water availability by water levels in three different soil types. Excess or gravitational water initially drains quickly from the soil after a heavy rain or irrigation because of gravitational forces (i.e., saturation point to field capacity). Plants may use small amounts of this water before it moves out of the root zone. Available water is retained in the soil after the excess has drained (i.e., field capacity to wilting point). This water is the most important for crop use and production. Plants can use close to 50% of it without exhibiting stress, but if less than 50% is available, drought stress will often result. Unavailable water is soil moisture held so tightly by the soil it cannot be extracted by the plant. Water will generally remain within the soil even below the wilting point of the plants. Most soil used for planting purposes with irrigation typically has two distinct types of intake rates. The instantaneous rate is the highest, even though short term, rate at which the soil can accept the applied water. This is due to several factors. Chief among these is a dry soil fostering more rapid downward travel due to gravity and suction forces within the soil as the applied water travels through the horizon. Since the soil is not yet saturated, there are also more available open pore spaces within the soil to fill and accommodate more water. The second intake rate usually begins rapidly occurring within one to two hours following when irrigation begins as the soil horizon starts to fill toward capacity. This is referred to as the basic or average intake or infiltration rate. This is the much slower rate at which the soil can accept applied water for the remaining irrigation period, and one in which the rate designers must generally use sprinkler irrigation designs to avoid surface runoff or deep percolation losses. The difference between the instantaneous, design, and average rates can be as much as four times less and will depend greatly on the method of irrigation, area of coverage, and application rate. For example, mechanized sprinkler irrigation systems such as pivots, lateral moves, and hard hose travelers operate with the sprinklers in constant movement, while solid set and wheel-line systems remain stationary during operation. The continuous movement of the sprinkler in a mechanized system prevents water from being repeatedly applied to the same area, which usually allows for a higher application rate during design. This is one of the primary reasons the higher application rates associated with many “big gun” hard-hose traveler systems can be used on so many tighter soils, and the method of irrigation must be considered when deciding the application rate to use. With highly well-drained soils such as gravels, sands, or mixtures of both, the instantaneous rate must be used for design to overcome the losses due to drainage and still provide water for sustained crop growth. 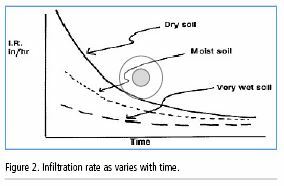 The difference between the instantaneous and average intake rate varies with the type of soil, open pore spaces, slope, and the degree of clays and fines within the soil impeding flow. Infiltration rate as varies with time. However, it is not uncommon to see instantaneous rates as high as 400% over the basic rates. Figure 2 illustrates how the intake rate slows as the soil becomes saturated over time. Furthermore, once the seed germinates and starts to grow, without the proper soil the plant would not be protected adequately, laterally stable, nor supported. The plant would also not have an osmosis route needed to obtain the nutrients and water from the soil required to maintain proper growth and sustainability and to protect the crop’s root structure from the damaging effects of predatory animals, solar radiation, wind, or erosion. The water supply in available quantity and quality is an obvious critical component of successful irrigation practices. There must be available daily, weekly, seasonal, or yearly volume, either through sole raw production sources such as a well or river, or a combination of raw production from a low producing well or stream coupled with storage from a pond, lake, etc. to satisfy the crop’s yearly water demand while also providing enough water to make up for application inefficiencies, waste, and loss. This will be discussed in greater detail in the next installment of this series. As opposed to the typical issues impacting a potable or industrial water system, the specific issues possibly confronting an irrigation water supply involve the potential presence of salts, chemical elements, or components that can be injurious or deadly to the growing or mature plant or result in sealing the upper or root zone soil horizons or structure. The potential impact to a crop or any of the soil horizons, usually the result of excessive salts or saline irrigation water, can potentially result in precipitation of the salt either on the surface or within the soil horizon followed by adherence to the soil structure, damaging the soil’s permeability and storage capacity. 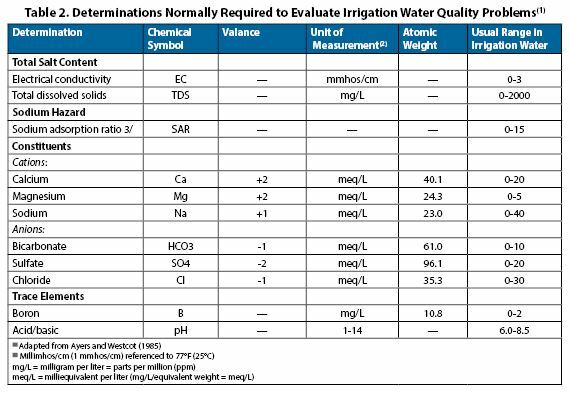 Table 2 can provide a guide to the typical water quality hazards associated with irrigation and the normal range. When starting out using an unknown water source, obtaining an initial basic water quality analysis is a good idea. 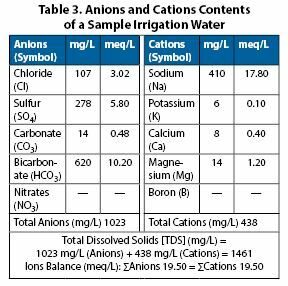 Most irrigation water analysis reports will provide a list of cations (calcium, magnesium, sodium, potassium) and anions (bicarbonate, carbonate, sulfate, chloride) along with pH, total dissolved solids (TDS), electrical conductivity (EC), and the sodium adsorption ratio (SAR). The cations, anions, and TDS have units of milligrams per liter (mg/L). The two most important factors are TDS or EC and the SAR. The TDS of a water sample is a measure of the concentration of soluble salts in the water, which include all the cations and anions. TDS can be estimated from the EC of the water. The more dissolved minerals in the water, the higher the EC. The units of EC can be listed as millimhos per centimeter (mmhos/cm), micromhos per centimeter (umhos/cm), or deci-Siemens per meter (dS/m; one millimho per centimeter is equal to 1000 micromhos per centimeter or 1 dS/m). TDS can be estimated by multiplying the EC (in umhos/cm) by 0.64. For example, the TDS of a water sample with an EC of 2000 umhos/cm (2.0 dS/m) would be about 1280 mg/L. The SAR of a water sample is the proportion of sodium to calcium and magnesium in the water. Since it is a ratio, SAR has no specific units. For most soils, any water with an EC greater than 2000 micromhos per centimeter (2 mmhos/cm or 2 dS/m) or an SAR value greater than 6 is not recommended for continuous irrigation. More information can be found using online or local extension office sources. In many instances, damaging effects from high salt content in irrigation water can be counteracted by applying more irrigation water than needed for ordinary crop consumption. This additional water, called the leaching requirement, varies with the type of soil, crop, and amount of salt content. The potential impact from excessive chemicals in sufficient concentrations to cause damage can affect the plant’s ability to adequately absorb water or sun or modify the crop’s internal DNA structure enough to stunt or completely decimate the crop’s growth. In addition to the required volume, the quality of the applied water must not possess certain elements or constituents potentially injurious or deadly to the plant or its structure, but at the same time the water must provide the nutrients required to facilitate proper development throughout its short growing lifespan, either from the natural water quality or from supplemental fertilizers. Each crop, often at varying times during its growth stages, requires specific nutrients at various levels. Almost all natural type of waters contains dissolved salts and trace elements of some kind and concentration, which results from natural weathering, dilution, and nutrient sources. Drainage water from irrigation fields, industrial wastewater, and domestic misuse of water also affect the quality of water flowing in rivers or found in groundwater aquifers. Problems such as high salinity levels of the available water can negatively influence the crop yield (quantity and quality), the soil’s sustainability for irrigation purposes, and the performance of the irrigation system. In some cases, excess levels of coliform bacteria can cause crop contamination. Irrigation water quality is usually measured by the total dissolved solids (TDS) or the electrical conductivity of the water (EC). A close relationship exists between the TDS of the water and the EC. Since the EC is a much easier value to measure than TDS, using a conductivity meter in the field, it is often used as an estimate of the total TDS concentration. The following relationship can be used: 6.5 × EC (mS/m) = TDS (mg/L). This should be performed to ensure that the sum (∑) of cations and the sum (∑) of anions balances as measured in milliequivalent per liter (meq/L) since water is usually electrically neutral or close to it. If not, the test laboratory must be requested to repeat the analysis. Secondly, test for the relationship EC (mS/m) × 6.5 = TDS (mg/L). A TDS of 1000-2000 mg/L indicates a moderate salinity hazard, while a level exceeding 2000 mg/L indicates a severe salinity hazard. Before using an unknown source of water for irrigation, particularly for drip irrigation, the water should receive a laboratory examination for nutrients and possible contaminants to verify its acceptability for use. Table 3 reveals the total anions and the total cations as well as the TDS from a sample water. High sodium ions in water can affect the permeability of soil and cause infiltration problems. This is because when sodium is present in the soil in exchangeable form, it replaces calcium and magnesium adsorbed on the soil clay structure and causes dispersion of soil particles. That is, if calcium and magnesium are the predominant cations adsorbed on the soil exchange complex, the soil tends to be easily cultivated and has a permeable and granular structure. This dispersion results in a breakdown of soil aggregates. The soil becomes hard and compact when dry and reduces infiltration rates of water and air into the soil, affecting its structure and permeability. where Na, Ca, Mg is shown in milliequivalents per liter. 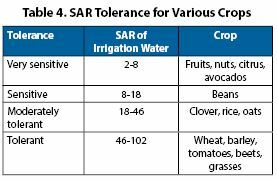 The tabular data in Table 4 can be used as guidance for crop use in high sodium water. As a rule, water with a SAR below 3 is safe for irrigating turf and other ornamental landscape plants. Water with a SAR greater than 9, on the other hand, can cause severe permeability problems when applied to fine-textured soils (for example, a silty clay loam) and should be avoided. Generally, water with a salinity hazard above 1000 mg/L of TDS (EC>1.5 mmhos/cm) and SAR > 6 should not be used as an irrigation water source unless there is no alternative. If there is no alternative present, adequate leaching of salts plus the use of salt-tolerant plants will need to be observed. Sand and sediment can also have a deleterious effect on the soil and infiltration rate. Sand and fine sediment can seal off the surface or upper horizon of the soil, causing a dramatic reduction of the intake rate and runoff. In addition, as the sand or sediment travels through the soil, it can displace and fill the open voids within the soil, resulting in a loss of porosity and available water-holding capacity to the crop’s roots. Although the presence of sand is most harmful to drip irrigation systems, it can also erode sprinkler nozzles, resulting in a loss of uniformity of coverage; wear out pumps and other hydraulic components; and lodge in chevron-style (aluminum pipe gaskets) gaskets, resulting in leakage and loss of operating pressure and water. In all cases, severe levels of sand over 1-2 mg/L should be removed at the source or wellhead to prevent traveling through the system and the resultant problems. Physical: Clogging of emitters caused by sand, silt, and other suspended solids, either organic or inorganic in nature. Very fine particles will remain in suspension and may only precipitate at the end of lateral pipes. Many particles can bind together where micro-slime deposits are present. Chemical: calcium and magnesium carbonate precipitants are formed at the outlet of the emitters if the pH of the water source is higher than 7.5. Other chemical reactions are normally caused by iron and manganese oxides from wells. Biological: Clogging is a result of algae growth and micro-biological activities. The type of crop and its individual water requirements is an important aspect of irrigation. Most varieties of plants require around 1.5 to 2.5 feet of water applied in daily increments over a typical growing season to transition from a seed to a fully harvestable crop. All the same, the actual rate of daily application, scheduling, and timing of this application of water can vary significantly between plants and regions. Certain crops need the majority of their total application during the initial germination and sprouting phase while others consume most of their seasonal allotment of water during the later stages of development and growth through osmotic action. Therefore, the daily and seasonal water demands and timing of each type and specific variety of plant must be considered using these unique factors. In addition, although not generally a meaningful issue during the crop’s growing season, some fields use cover crops generally planted after harvest of the primary crop, but which may consume a portion of the yearly allocation of water. Cover crops include many grasses, legumes, and other plants used for erosion control; improving soil structure, moisture, and nutrient content; increasing beneficial soil biology; suppressing the growth of weeds; providing habitat for beneficial predatory insects; and facilitating crop pollinators. Furthermore, cover crops can provide energy savings by adding nitrogen to the soil and making more soil nutrients available to the primary crop, thereby reducing the possible need to apply fertilizer. Other plants are totally grown underground, seemingly protected and out of sight, while still others such as cane or vine crops are exposed to the effects and potential damage from aboveground impacts such as animal foliage, wind, or equipment disturbance and spoilage (withering) from excessive heat. 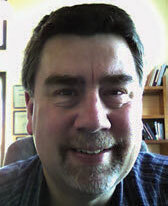 Therefore, it is vital to understand the unique factors associated with the intended crop. The fundamental relationship of the amount of water applied over a given area of land is generally based on the required number of inches of equivalent precipitation or rainfall. As previously noted, each crop has a unique value of daily and seasonal water consumption, which is a function of the plant’s needed moisture to facilitate and promote proper growth called transpiration; along with the projected losses from evaporation, the combined effect from these two demands is usually referred to as evapotranspiration. For most irrigated crops and plants, evapotranspiration, often referred to as the plant’s consumptive use (CU), is generally stated in units of inches per day, month, or season. The optimal consumptive use is the consumptive use which produces a maximum crop yield. However, if sufficient moisture is always available to completely meet the needs of vegetation fully covering the entire area, the resulting evapotranspiration is known as the potential consumptive use. Finally, the seasonal consumptive use is defined as the volume of water used to satisfy a crop’s evapotranspiration throughout the entire growing season. Typical values of daily or monthly consumptive use vary with the plant, growth stage, region, hours of sunlight each day, root depth, carryover moisture, and environmental factors such as temperature and humidity, wind, and solar losses. For simplicity, these values are usually available from U.S. Department of Agriculture or agricultural university field or extension offices for the specific region and crop in question. Whenever available, these individual values for crop consumptive use for the locality in question should always be used over empirical formulas that simply estimate the value. However, if unable to locate the precise consumptive use values needed, the variables shown in the Blaney-Criddle equation below are also usually available from many local USDA, state, county, or university agricultural extension or field offices, weather bureaus, and other sources. Although it is recognized that numerous factors must be taken into consideration to accurately determine the consumptive use of water, the effect of temperature, humidity, and sunshine upon plant growth as overall measures of solar radiation is without a doubt the most important of all climatic factors or variables. Temperature and precipitation records are more readily available than most other climatic data throughout present and potential agricultural areas of the world. The consumptive use varies with all the above factors regardless of the water source (precipitation, irrigation water, or natural groundwater occurring in the root zone). Multiplying the mean monthly temperature (t) by the monthly percentage of daytime hours of the year (p) gives a monthly consumptive use factor (f). K = empirical consumptive-use crop coefficient for full irrigation season or growing period (see Table 5). Although seasonal coefficients (K) show variation, monthly coefficients show much greater variation in values. When dealing with monthly or short-time (weekly or daily) coefficients, designers must recognize the number of factors that might influence growth besides climate. These include stage of growth, available offsetting precipitation, pest attack, soil changes, length of daylight, or possible plant stress. The smaller term of k used above reflects the monthly consumptive-use crop coefficient rather than the typically lower seasonal value (K), and is often up to 15%–30% higher during a given single growing month due to the stage of growth the crop is passing through than the lower and more average seasonal value of K.
For best accuracy and protection from possible underapplication during these specific intervals, the higher value of k should be used whenever possible, or at a minimum, a 130% factor above the highest value of K applied during the two greatest water use months. The consumptive-use factor (F) may be computed for areas for which monthly temperature records are available if the percentage of hours for the local area are available and used. You can then obtain the total seasonal crop consumptive use (U) by multiplying (F) by the empirical seasonal consumptive-use crop coefficient (K). This relationship allows for computing consumptive use anywhere in the world for crops for which coefficients have been experimentally established or which can be estimated. Although the values shown in Table 5 were prepared primarily for the western United States, they generally apply as rough estimation values to all irrigated regions. By applying these data, the seasonal factor (F) can be estimated for any growing period at most locations. As a generalization and for estimation purposes only, designers can safely assume a typical net consumptive use of 0.40-inch per day (monthly “k” CU = 12 inches) for water-intensive crops in hot and humid climates, 0.30-inch per day (monthly “k” CU = 9 inches) for crops in the Midwest, South, and Sunbelt regions of the United States, and 0.20-inch per day (monthly “k” CU = 6 inches) for truck crops in more temperate climates such as the Pacific Northwest. Note these values do not reflect the irrigation requirement, but the estimated maximum monthly crop consumptive use. This concludes the second part of this six-part series on irrigation fundamentals, concepts, and methods. 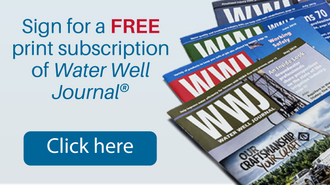 Next month, to coincide with the Water Well Journal issue theme of irrigation and groundwater, we will continue this series with a discussion on the hydraulic aspects of irrigation system design. Until then, work safe and smart.